The first installment of my next novel, scheduled for a mid 2011 release, is now up on Free Fantastical Fiction. I'll be posting every Monday, with the first half of the novel released as a series before publication. There are also six other authors will be doing the same thing, each posting the next part of their novel, with a different post every day! Charles Dickens did the same thing with Great Expectations (not that I'm expecting my stuff to be anywhere on his level). The night Gabe Mitchell finds his friend dead, life changes beyond all recognition. Exiled from where he grew up and his family threatened by the local prophet, Eli, the seventeen-year old turns to the police chief of a neighbouring town. But all is not right in Gabe's fiercely religious hometown of Prosperity. While the community prepares for its centennial, the relative peace of the township shatters. Men report nightmares and visions of an old woman—right before dying in their beds. Gabe and the chief, Jake Tucker, discover a history far darker than ever thought possible. Soon, the young man starts to have visions of his own and can't help but wonder if he'll survive to save his family in time. 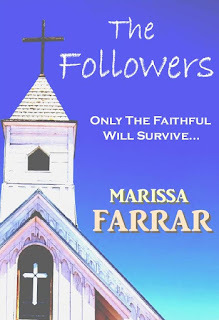 The Followers is a story of family, ancestry, and knowing blood really is thicker than water. I hope that's got the juices following and you'll head off to the new blog to see how it starts! And remember, this novel is pre-publication, so any thoughts or insights you have will be welcome, and you never know, they just may end up affecting the final novel. See you there! Okay, first I thought I would have your paperback on my shelf and now it appears that I will have to get a seperate shelf just for you! Where are all of these stories coming from, Marissa? Soon you will be like James Patterson and have to write with partners. Sounds pretty good, doesn't it? 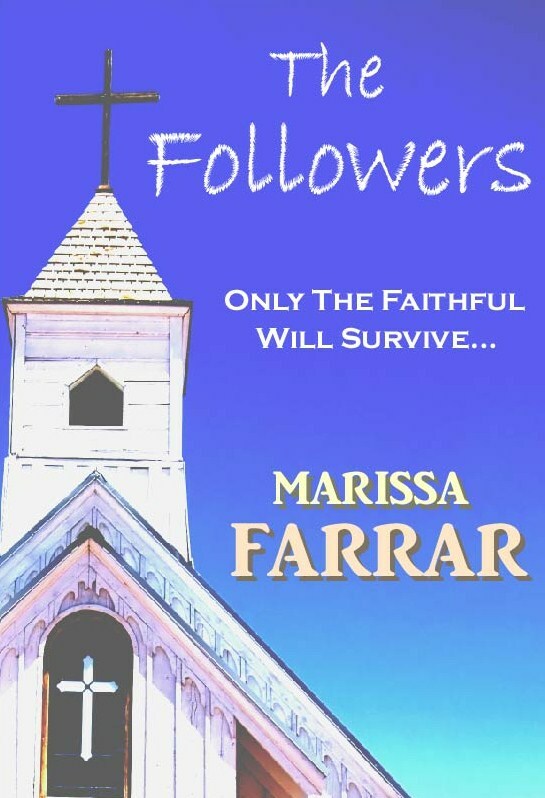 "The new novel by Marissa Farrar and James Garcia jr (much smaller font).." I do the writing and you get the big checks. LOl. All kidding aside, congrats on everything and much success, my friend. Lol. What can I say...I just really like to write! By the time one gets published, I've normally written two more so I guess there will always be a bit of a backlog. Always good for if I ever suffer from writers block--at least no one would have to know! She's my hero, Jimmy. While my mind gets bogged down with plotting, scheming and publishing stuff she sits serenely in the middle of toddler noise and manages to write. My new goal of 2011 is to write five days a week. Even if it's only 1,000 words. Rock on, Marissa! Good start with The Followers!